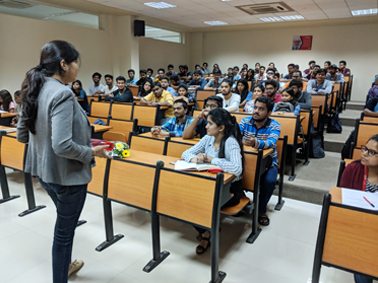 Mrs. Harshada Kulkarni, COO, GRD Infra Projects Ltd, delivered an incredible guest session on “Be mindful and program your mind to success”. 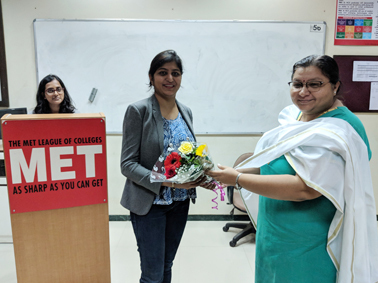 She covered all essential elements for developing an effective mind set and its phenomenal execution have broadened the horizons of MCA students to programme the mind. The session helped students to imprint positive & optimistic thoughts to rewire the brain which will lead to success.